I love a great Slow Cooker recipe to help me out on a busy day, and they are great for a potluck, or a weeknight supper. This is a great recipe that can actually be used in several different ways. It can be served with the whole chicken for a dinner plate with sides. Add a splash of salsa and some baked tortilla chips and it is a great dip. Today we are making sandwiches, and they are delicious, I am excited to share this recipe with you and sure hope you enjoy it. Cut the bacon in bite size pieces. Cut the chicken breast in half. Chop the onions, peppers and garlic. In a large skillet, cook the bacon until crisp. Remove the bacon and let it rest. In the skillet with the rendered bacon fat, saute the chopped bell pepper, onion and garlic. Place the room temperature cream cheese in a medium mixing bowl and add the bacon and sauteed vegetables. If you are using a chopped jalapeno add it at this time. Add the dry Buttermilk Ranch Dressing Mix and the dash of cayenne. Mix until the cheese mixture is completely smooth. Add the chicken pieces to the preheated slow cooker. Spread the cheese mixture on top of the chicken. Remove the chicken and shred it with two forks. Place the shredded chicken back into the cooker with the sauce. Toast the buns before adding the chicken. Add the chicken to the bun, then top with the shredded cheese. Put the cheese top half of the chicken bun into the oven and broil for 30 to 45 seconds, just to melt the cheese. WATCH very carefully so you don't burn the cheese. Top with the top bun and serve. I really wish you could have a bite of this chicken, it would be cooking in your Slow Cooker very soon! Thanks so much for stopping by today to spend some time in the kitchen with us. Hope you have a fantastic week and come back to see us real soon! Yes it will be cooking in my slow cooker soon! I can't wait to try this cheesy, yummy meal, Miz Helen! Yum love these! I love the heat that these seem to have and I absolutely love slow cooker recipes. Would love for you to share over at Throw Back Thursday's at Tornadough Alli!! 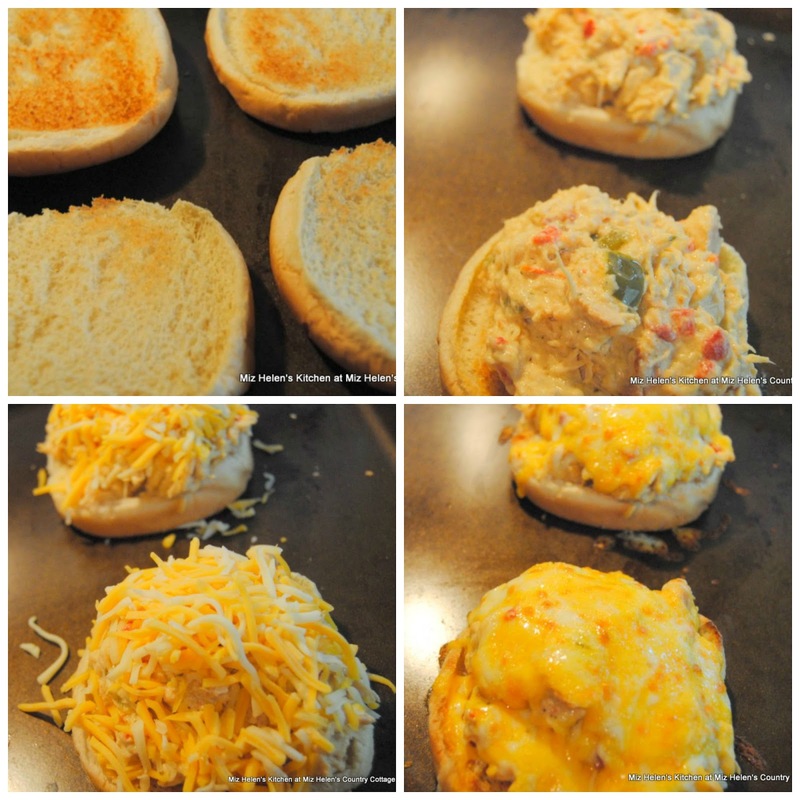 Your Slow Cooker Cheesy Ranch Chicken Sandwiches looks so tasty, Miz Helen! Love how creamy and comforting they are. I like using my slow cooker year round as it really keeps the kitchen cool in summer and always makes the house smell so good! I'm always looking for good slow cooker recipes and this one looks perfect! Thank you so much for linking up at Tasty Tuesday! This post has been pinned on the Tasty Tuesday Pinterest board! I love having you and can't wait to see you next week! 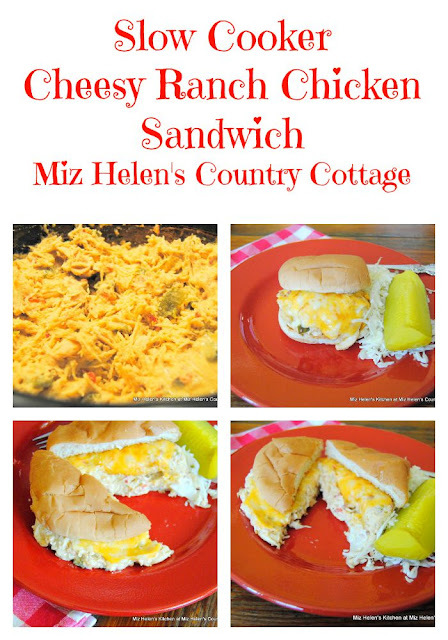 These sandwiches look fantastic Miz Helen and I love that the chicken is cooked in the crock pot! I am featuring you this week, over at Simple Supper Tuesday. We hope you can join us again, starting Monday night at 8pm EST. Thank you for linking up to Whatch Crockin'!